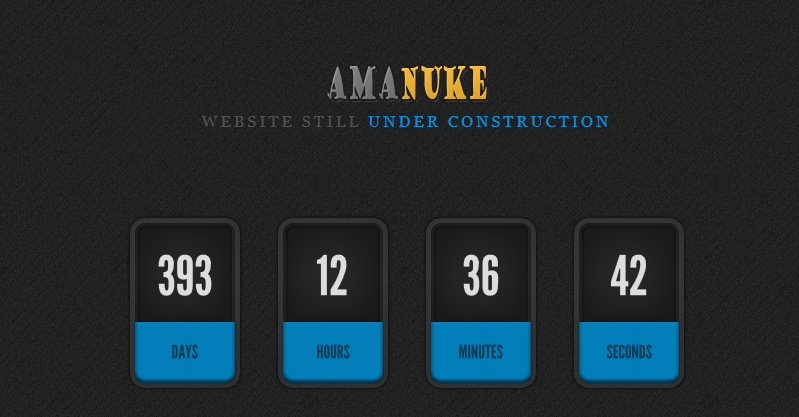 Amanuke is new Under Construction / Work in Progress HTML template to show the progress of your web development. It use countdown timer and circle progress bar to show how many percents in days the launching date. It use social icons for contact , ajax subscribe form and ajax contact form. It has 13 pattern to change the background image. It also has twitter ticker in the bottom. It is my first html underconstruction page. And here is the complete free download amanuke under construction page . 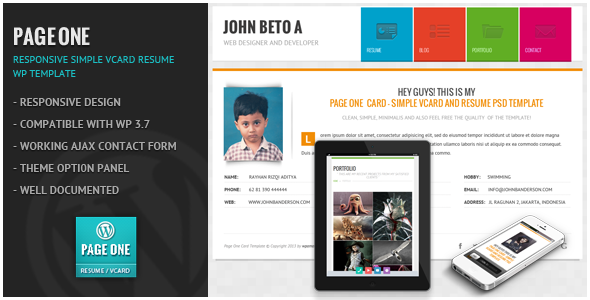 Page One – Responsive Simple Vcard Resume WordPress Theme is vcard template to show your cv, resume and portfolio template online. It’s design slick to make your resume online beautifull. Just download and install it. It’s very suitable if you need to show your cv and resume to friends and potential customers. It has 6 predefined color style which you can choose from admin area. Color which are available : mix, blue, green , orange , purple , red. I have ever used sony camera and nikon camera. Based on my experience nikon camera is the best. Here is the sony camera specification. This is the world’s smallest interchangeable lens digital still camera using a large APS-C size sensor (as of Aug 2011). The removal of the conventional mirror box and viewfinder results in a camera body that is about half the size and weight of a standard DSLR camera. The way to use is very Easy. Just See the explanation WPAmaNuke ASIN Collector . Just follow the link above for complete explanation. After you bookmarket tools inside the link. Just open any amazon website. After that just click WPAmanuke ASIN Collector in your toolbar. And the ASIN List will be shown in the right sidebar. After that copy all the ASIN to notepad and collect as many as you can. If you think the ASIN has been enough , just copy it to your Fresh Store Builder. prettyPhoto is a jQuery lightbox clone. Not only does it support images, it also support for videos, flash, YouTube, iframes and ajax. It’s a full blown media lightbox. The feature is awesome. But when i try in wordpress theme and and give rel=”” on the href there is a problem on it. After i save the post and edit again the rel become dissapear. That’s why i try to develop wordpress prettyphoto plugin. After 2 days to do some research finally i can make the plugins. With the solution above , you can use prettyPhoto in any of your posts. 1. Download the plugin archive and expand it if you haven’t already. 2. Put the `wpamanuke_prettyphoto` folder into your `wp-content/plugins/` directory. 7. Have fun with your blog readers. Hope you enjoy it. Just give me some inputs to make it better . 2. Put the `wpamanuke_pretty_photo` folder into your `wp-content/plugins/` directory.